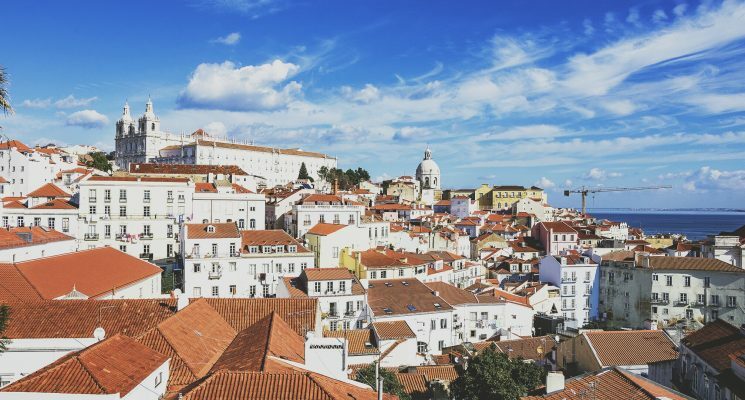 Looking for the best hostels in Porto? We did the legwork for you, and found some of the coolest Porto hostels for you. Porto is a fascinating city, and we loved the week we spent walking and exploring its cobblestone Ribeira district. 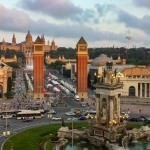 While it is best known for production of Port wine, there is much more going on in this city than just strong adult beverages. 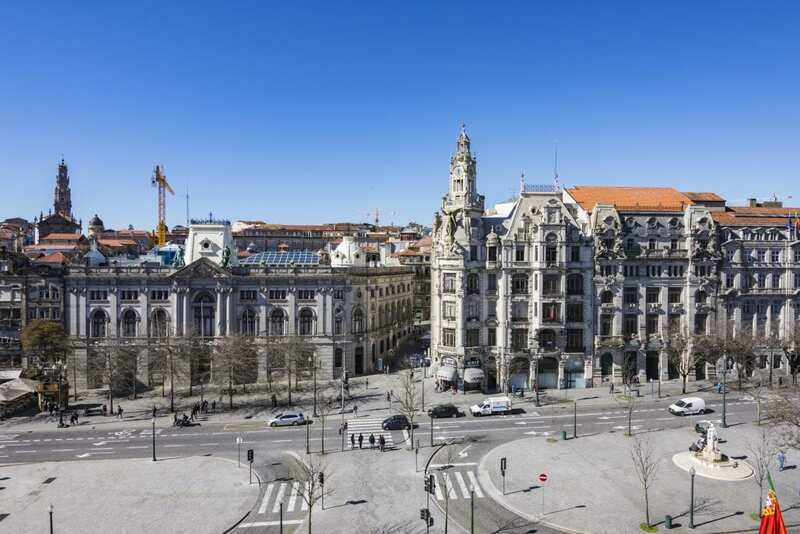 As Portugal’s second most visited city, Porto is home to a pretty large amount of budget accommodation options which is great for travelers or backpackers visiting on a budget. But which of the many hostels are the BEST hostels in Porto? We visited a whole bunch to pick the best of the best. Why stay in one of the best hostels in Porto? 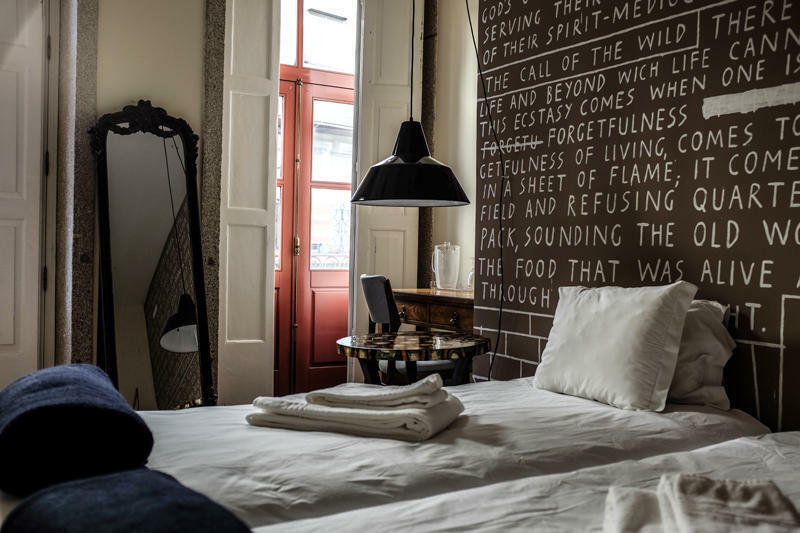 A great hostel in Porto has more to offer than just cheap dorm beds. The right hostel should feel like a cozy, secure, and comfortable little home away from home. 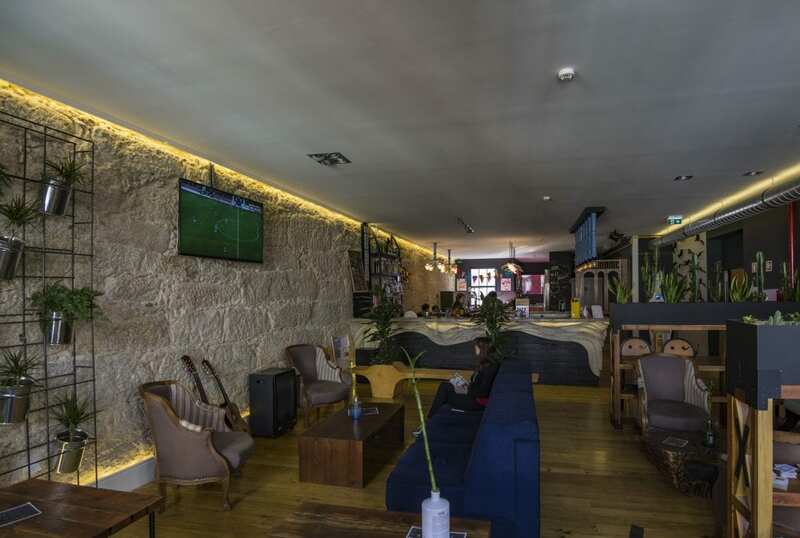 The best hostels in Porto should also offer its guests plenty of ways to meet other travelers, have a nice atmosphere, and be run by a pleasant and friendly staff. A great hostel is also clean, tidy, organized, run professionally, and mindful of the needs of it guests. Huge bonus if it has a nice kitchen to cook meals in which will save you tons on your budget. 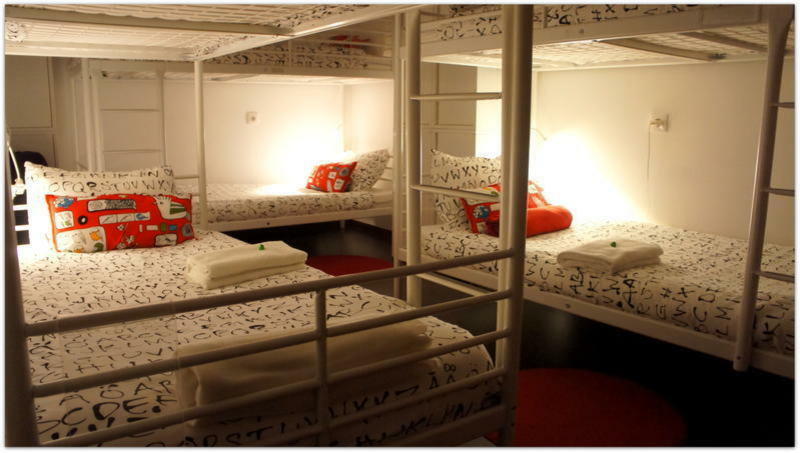 With all of this in mind we put together a list of some of the very best hostels in Porto. Nice Way Porto Hostel, one of the newest hostels in Porto is also one of the nicest. As soon as you step off the elevator and walk into the reception area you’re greeted by a friendly staff member, and embraced by a warm and cozy atmosphere. The gorgeous interior decorated with natural wood, richly colored fabrics, unique artwork, and lush green plant life make it a bit tempting to stay indoors but with all Porto has to offer, you will surely manage to pull yourself away. Nice Way has nearly everything you could ask for in a hostel making it one of the best hostels in Porto. It has a large kitchen with an endless amount of supplies like plates, bowls, mugs, cutlery, cookware, and even free food and spices. The bar and lounge area are both super comfy spaces to hang out in and meet other travelers. Free Porto spritzers and cheese each evening, and communal dinners three times a week during high season make it super easy and fun to socialize. Additionally, friendly tour guides stop by from time to time to invite guests on free walking tours and pub crawls, so it’s pretty much impossible to get bored here. 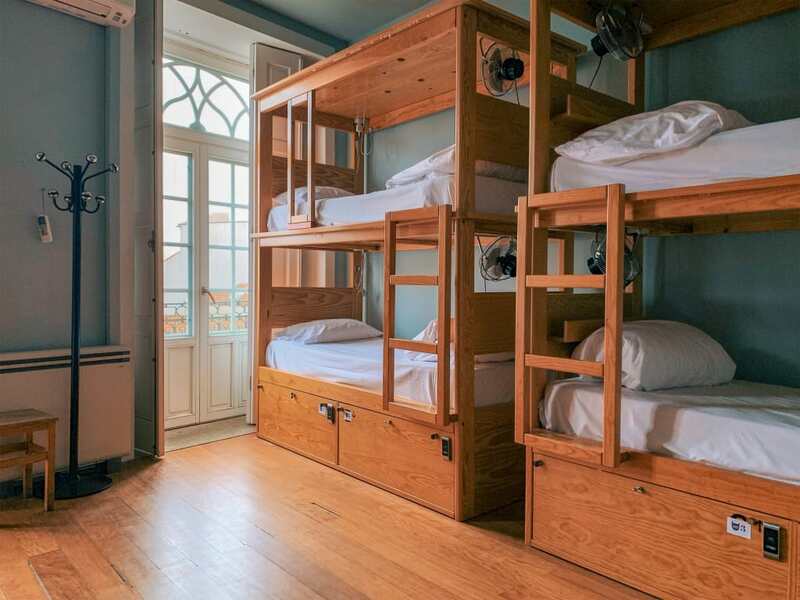 With a whopping 160 beds, Nice Way Hostel is one of the largest in Porto but don’t let that scare you off. There are plenty of personal touches that make anyone staying here feel right at home. Dorm rooms vary in size from 4 to 12 beds and each comes with a privacy curtain, lamp, and charger outlets. The beds have high quality sturdy wooden frames with attached ladders, so no loud banging noises to wake you when an upper bunk-mate climbs in late at night. All female dorms are available as well as a truly epic attic tower dorm room that you have to see to believe. Nice private rooms are also available for anyone looking for more space. They’re all en-suite so no waiting in line for a shower, and linens and towels are included. The wifi connection in the hostel is also pretty good so if you need to jump on the internet to research things to do in Porto or if work happens to call you’ll have no issues. The only think we can think of that would make Nice Way better are laundry facilities, but there are options within walking distance so it isn’t a huge issue. When all is said and done, Nice Way is absolutely one of the best hostels in Porto. Also, if you’re traveling throughout Portugal, check out the Nice Way Sintra and Nice Way Cascias too! Porto’s largest hostel is just around the corner from Sao Bento station, and close to all the main sites of the beautiful historical city. CATS Porto is a huge hostel with simple decor is more “urban” than “design”. 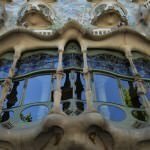 But it’s definitely stylish and original, boasting an aquarium lounge and a large rooftop terrace with the view of the city offering the possibility for a unique BBQ. The great thing about this hostel is that it’s wheelchair accessible and also very secure. Access is by key card only, and big under-bed lockers with locks are provided. The rooms are spacious (as with everything else in this hostel) and has good quality orthopedic beds. Every dorm bed has a curtain for privacy, individual reading light, a fan, and three power plugs. Moreover, all the rooms are ensuite. So maximum comfort is guaranteed! Guests won’t go hungry at CATS either. They have a fully equipped guest kitchen, and for those who are lazy there is a restaurant and bar that offers delicious Portuguese dishes and drinks. And after their ample and diverse free breakfast every traveller will be ready to explore the city. If you’re up for socializing, the terrace and kitchen spaces are great for that, but getting involved in the daily activities is also worth a try! With its colorful houses, amazing panorama and the wine cellars by the river, Porto is a city for romantic souls. So staying at The Poets Inn will make your stay a totally unforgettable experience. The rooms are big and each is decorated in a unique theme, always corresponding with the name of the hostel. The poems on the walls are a nice and inspiring touch. The place is recommended especially for couples, even though it is suitable for families too because in addition to double rooms, they also offer a 4 bed private ensuite. In the other rooms bathrooms are shared, but that doesn’t take much from the level of comfort since they are not shared by many people and are always perfectly clean. Although it’s not the typical hostel, The Poets Inn provides a kitchen with all the equipment needed for cooking, high speed internet, and two lounge rooms with the possibility to watch movies and listen to music. Breakfast is also included in price. 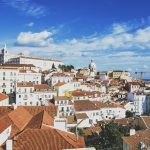 Best Hostels in Porto – YES! 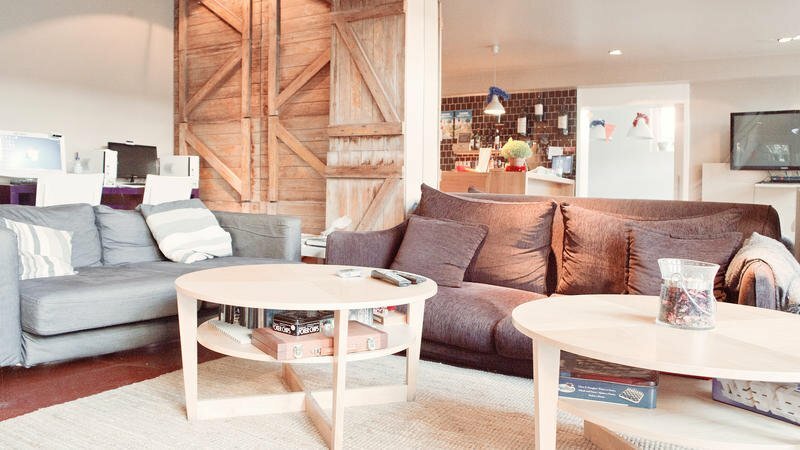 Looking for a modern and social hostel? Yes! Hostel is a great choice. It’s social atmosphere is definitely what makes it interesting and one of the best hostels in Porto. 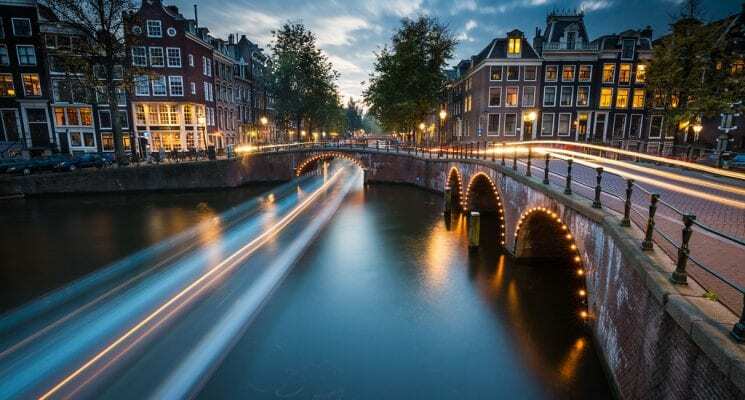 There are plenty of opportunities to meet other travelers – by sleeping in one of their dorm rooms, joining the free walking tours, chatting in the common room over the amazing free breakfast, during dinner, or during pub crawls with the hostel staff! Yes! 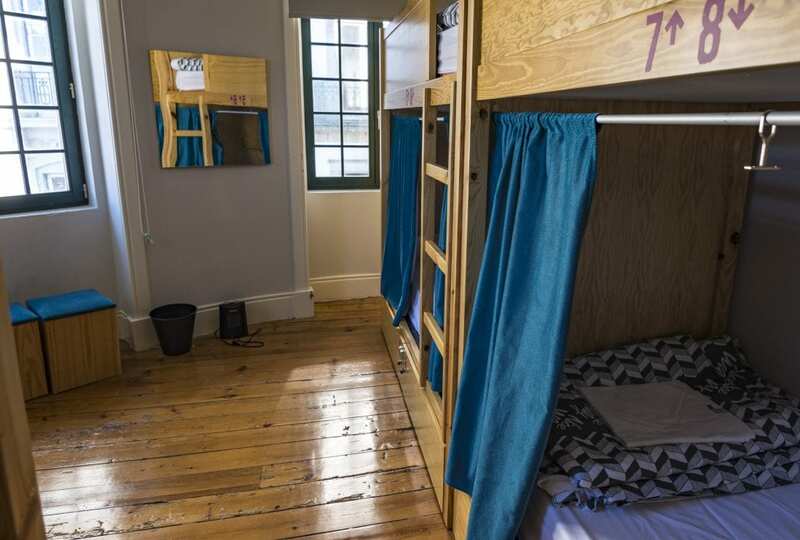 Porto Hostel offers 4 and 5 bed dorms, with secure under-bed lockers, a shelf, power plugs and reading light for each traveller. The curtains ensures a good night’s sleep and give more privacy. Be sure to take advantage of all the activities offered and have fun while exploring the lifestyle of locals! 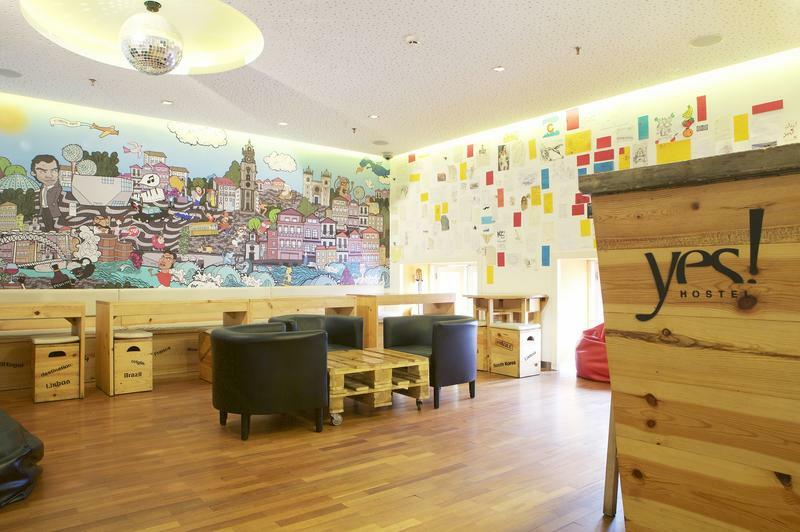 Why is Gallery Hostel featured in our list of the best hostels in Porto? Because it 1) has a family atmosphere, 2) is filled with original art, and 3) is eco-friendly. 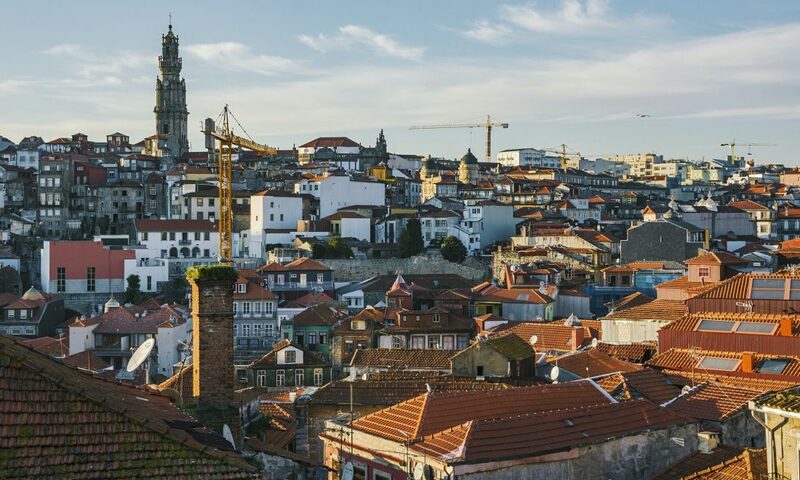 The hostel is located in between the art district and nightlife quarter of Porto so it’s the perfect place to be if you are into museums during the day and parties at night. 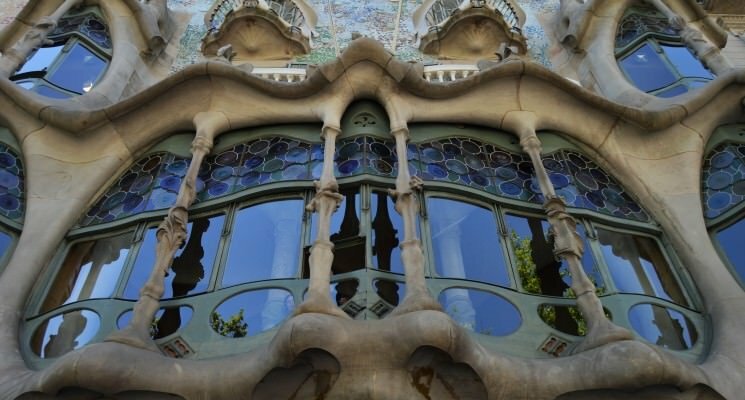 The center is just a 10 minutes walk so you won’t miss out on anything while staying here. The art in the hostel is certainly unique and makes you feel really special. By the way, it can be a good topic of conversation with the fellow travelers too. It would be a shame not to experience the famous Portuguese hospitality while in Porto. Fortunately, Gallery Hostel is run by a lovely family with care, and the delicious dinners made by “mama” are a must. All the private and dorm rooms are en-suite and gently decorated with beautiful art. The cozy winter garden, summer terrace and stylish common room just adds to a character and relaxed atmosphere of Gallery Hostel. The eco-friendly attitude of the owners, cultural events in the hostel, free breakfast and free walking tours would certainly make one’s stay memorable! 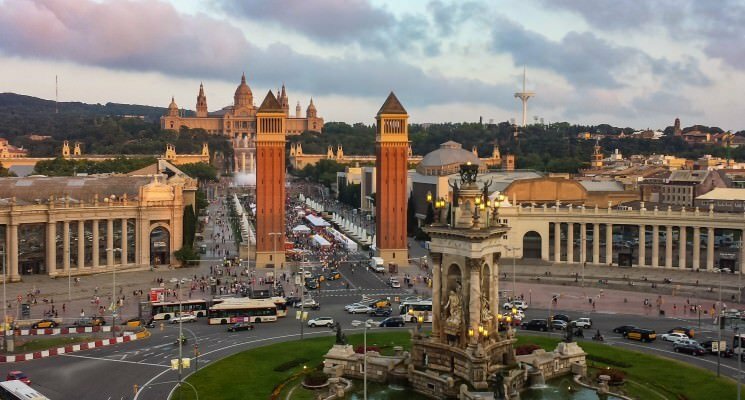 Enough of crowded city centers? Hostel Gaia Porto is perfect for everybody who is willing to stay a bit off the beaten path. It is located on the hill on the other side of Douro river ensuring the best unusual view of the old city and the river. At first sight it can look like an average hostel, but the secret is hidden in the atmosphere. This small hostel is owned by a family who are really easy to talk to. A glass of Porto wine as a welcome drink is a nice gesture and the free breakfast with one of the owners makes a great start to the day. Every night there are thematic parties to get to know the local culture better. The common room and panoramic garden are good places to catch up with the other travelers. Highly recommended for budget travelers who want to experience a bit of life outside the tourist center of Porto. Porto Spot Hostel is a bit further from the city center, but still within walking distance and perfectly accessible from the airport. It is located in an old building which has been carefully refurbished with respect to the building’s originality. The overall impression from the friendly staff, comfortable lounge and wooden decor make you feel at home. The rooms are nicely decorated and accessed with the key cards for enhanced security. Lockers are free of course, same goes for the breakfast buffet in the morning. The bar is also a part of the hostel and so is a cute garden with a hammock where you can rest or enjoy their famous dinner. Apart from that there is a kitchen for guests to use and a super cozy living room and media room. The hostel staff are really professional and do everything they can to show off the best of Porto. The tourist corner full of useful tips is great, and the organized walking tours, and pub crawls even more so! 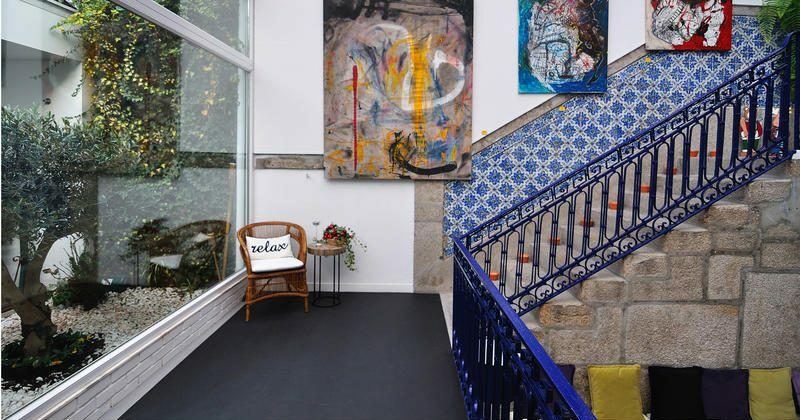 All of the above combines to make this one of the best hostels in Porto! 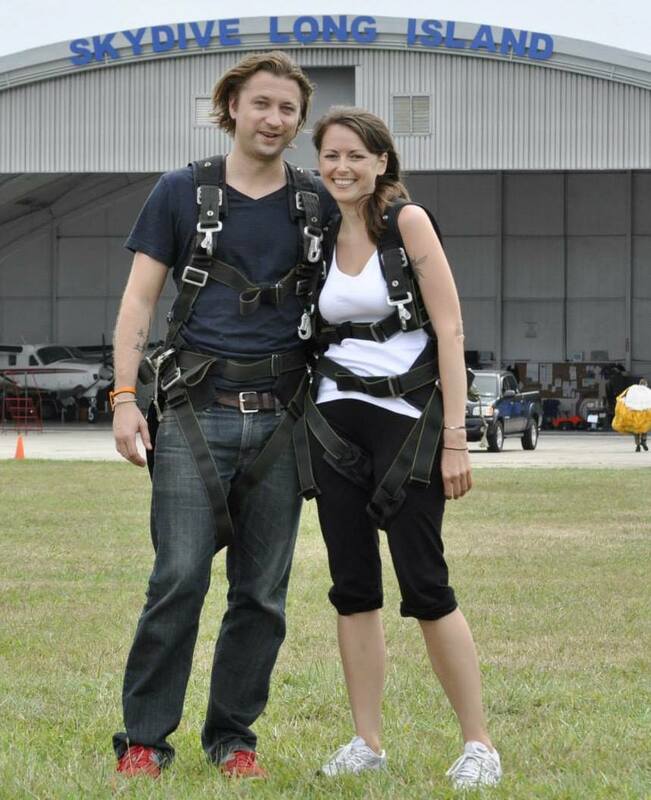 I love the picture that you guys include in all of your blog posts. They are so professional and give a great perspective of what you talk about in your blog. I stayed at the Yes! Hostel and loved my time there, great work you guys!